After years of sitting back letting everybody else catch the fish I told George benisek to sit in the chair it’s his turn and lo and behold our third fish over 30 lb this year but the line. 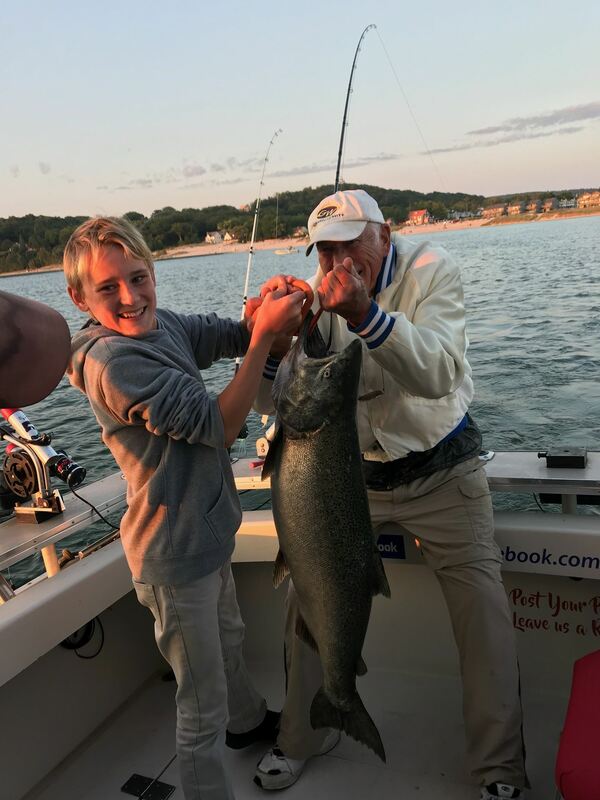 George got his largest salmon ever tonight. 30 lb 5 oz.